As if to turn the tables on this landmark that transformed Paris into “both map and metaphor,” entrepreneurs manufactured little Eiffel Towers made of chocolate, pastry and metal that tourists snapped up by the thousands. The truly obsessed built their own Eiffel Towers out of matchsticks, toothpicks and other materials. 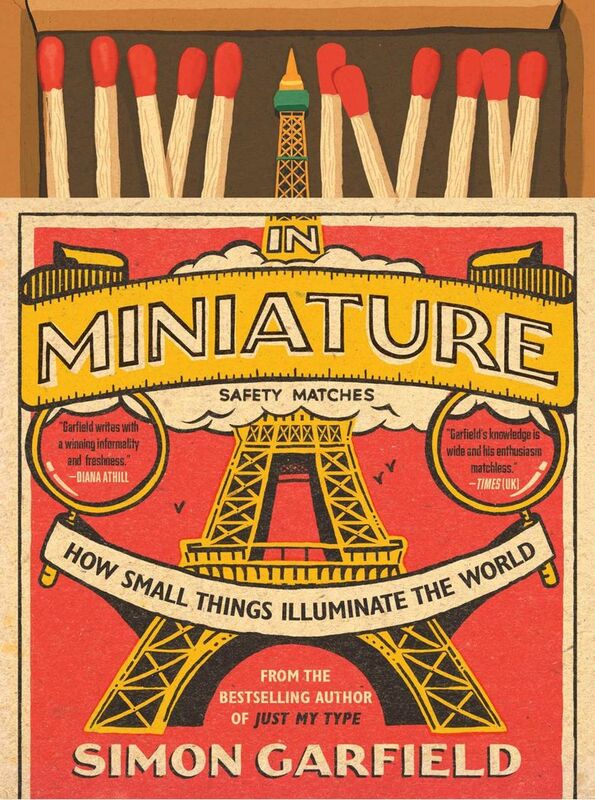 Of course, it wasn’t just the Eiffel Tower that inspired a passion for the miniature. Model villages — Bekonscot outside London, Tiny Town in Colorado, Splendid China in Shenzen, Madurodam in The Hague — can be found all over the world. Even guerrilla artist Banksy has gotten in on the action with Dismaland, his dystopian parody of Disneyland. Monetary profit is just as powerful a motive. Hamburg’s Miniatur Wunderland — a model railway created less than 20 years ago, with 10 miles of track, 1,000 trains and 260,000 figurines populating its landscape — is now one of Europe’s top 10 tourist attractions. Model-making has served more sober purposes, too. A yardlong model of a British slave ship played a key role in Britain’s withdrawal from the slave trade in 1807. A 400-square-foot replica of the battlefield at Waterloo, displayed 23 years after the conflict, altered perspectives as to what led to Wellington’s victory over Napoleon. That small statement speaks volumes. Michael Upchurch: michaelupchurch@comcast.net; Michael Upchurch is a novelist (“Passive Intruder,” “The Flame Forest”) and frequent book reviewer. He was the Seattle Times’ staff book critic (1998-2008) and general arts writer (2008-2014), before resigning to concentrate on fiction and literary journalism. His reviews have appeared in the New York Times Book Review, Washington Post, Oregonian and numerous other publications.